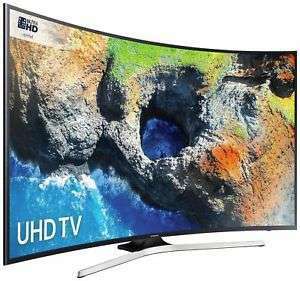 Samsung MU6220 65 Inch Curved 4K Ultra HD HDR Smart WiFi LED TV ONLY £899 ON ARGOS EBAY SITE INCLUDING FREE DELIVERY. IT IS £1600 ON SAMSUNG WEBSITE SO £899 IS A SUBERP DEAL. ALTHOUGH IT IS £999 WHEN YOU GO TO CHECKOUT IT GOES DOWN TO £899 AUTOMATICALLY. It sure has gone! Shame good price!